The RCB won the toss and elected to field first. The Kings XI Punjab got off to a great start with Gayle smashing the bowlers after seeing out a few balls. Unfortunately for them, there was no other batsman who was staying long enough to support Gayle as he had to hold back his aggressive instincts and take it deep. Gayle managed to accelerate later and hit a boundary of the last ball as he finished with an unbeaten 99 off 64 balls. Punjab got to 173 which was just about par on this pitch. Starting of the Chase, RCB got off to a flyer scoring at over 10 runs per over till Parthiv Patel got out. Kohli and Ab Devilliers then took it deep for RCB with a 85 runs partnership. 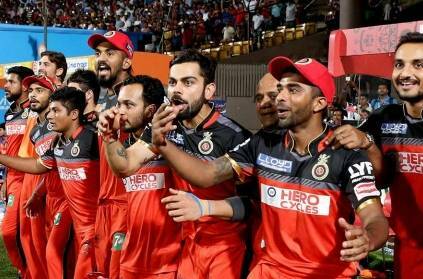 As Kohli got out for 67, there was tension building up in the RCB camp. But AB Devillers made sure that he stays till the end with Stioinis getting into the act as well, they won comfortably. The surprise was that when it was 6 to win off the last over, Sarfaraz Khan who had not bowled in IPL was given the ball in spite of Curran having one over left. Kings XI Punjab would look at their batting and feel that they should have got more runs. RCB on the other hand have finally registered their first win this season and will be hoping to win every game from here on. This page contains news relating to various facts and events. The views are generally about current affiars and general topics in diversified areas such as political, international, national, and regional issues, sports, health, travel, lifestyle, technology and business. People having similar interets on the above topics will find this page useful. RCB get their first win of the season vs KXIP | Sports News.